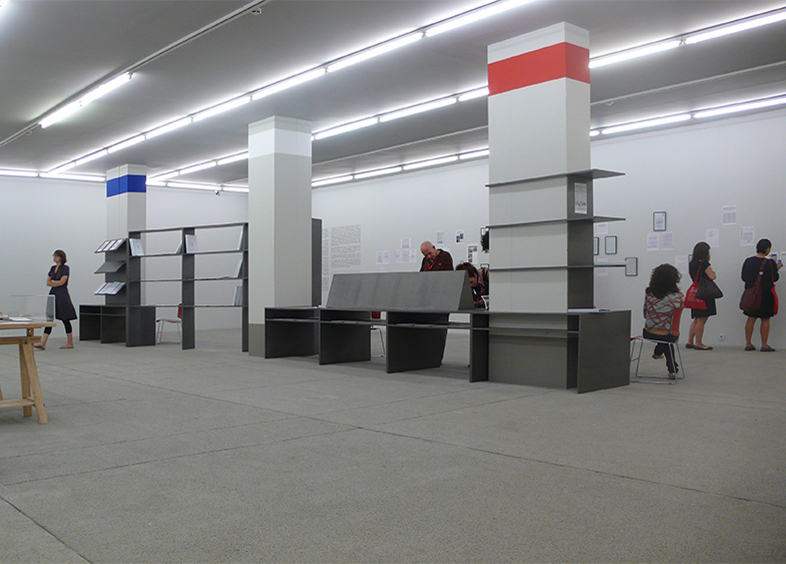 For Manifesta 8, in collaboration with Bassam El Baroni and Jeremy Beaudry, a display strategy and structure for the MoCHA Archive was developed. The Museum of Contemporary Hispanic Art (MoCHA) began life as a small gallery in 1973. The archive has been used as a catalyst for speculating on the origins and future of many of the recognised parameters in contemporary art, from identity politics to institutional critique. 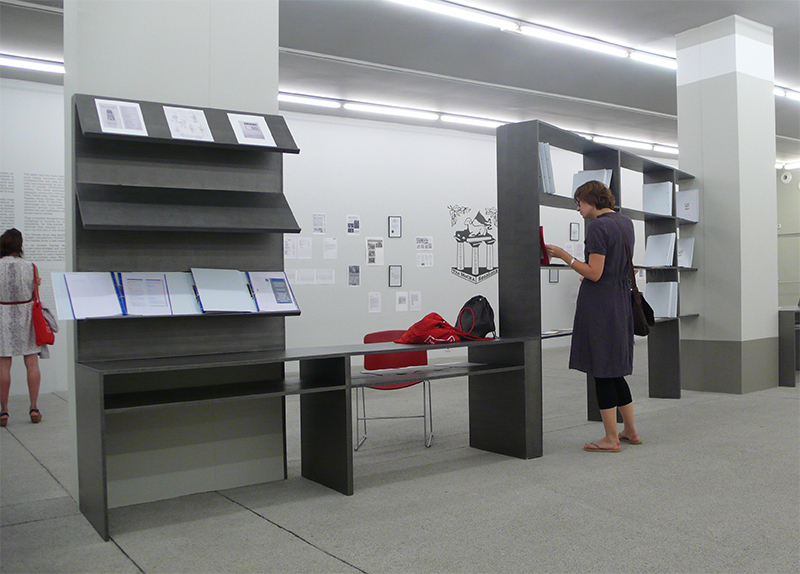 The design provided a framework which enabled the MoCHA archive to be displayed and continuously reworked by the visitors throughout the duration of Manifesta 8.